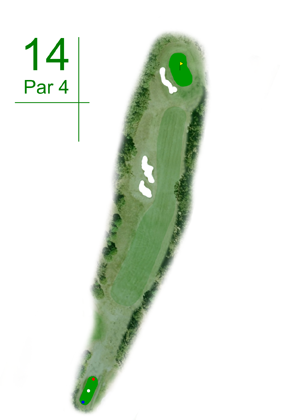 A short uphill par 4 that requires accuracy from tee to green. Fairway slopes severely from side to side and if you miss any shot right or left you will be punished. Do not miss the green long or left.